A Redditor who claims to have worked as a developer on Assassin's Creed 3 is speaking out about the title's numerous production problems. 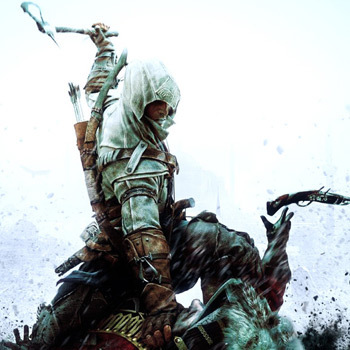 Today, a Redditor named PreludesAndNocturnes penned a lengthy article about his work as a developer on Assassin's Creed 3. According to the post, AC3's development was a never-ending train wreck of miscommunications, unrealistic expectations, and a constantly fluctuating development team. "The coordination of resources between all of these teams separated by thousands of miles and differing time zones was a damn joke," he said, "and at the same time studio resources were constantly stolen for work on Watchdogs and Far Cry 3." Mr. Nocturnes worked on the game's single player mode, which was being continuously revised as the team's deadline approached. "Stuff like the homestead economy, weapon crafting, hunting, and the late-game set pieces were all heavily ignored til the very end of development, " he said, "and no time was given to polish them or make them cohesive. A large action set piece near the Haytham boss fight was entirely cut 2 weeks before we went gold. On top of that, some vital cutscenes anims and audio weren't implemented until about 3 weeks before gold." Obviously, the strain of a yearly release schedule means that creative expectations are constantly being tempered by deadlines. But it sounds like Ubisoft was forced to sacrifice major gameplay and performance elements due to a serious lack of top-down leadership. PreludesAndNocturnes specifically mentions the Desmond missions being a "disgrace" because a team of inexperienced employees handled that content. Also, AC3's newfangled engine, the AnvilNext, was designed with next-gen consoles in mind and never performed efficiently on the Xbox 360 and PlayStation 3. Through it all, though, PreludesAndNocturnes says that he cherished his time at Ubisoft. "Working there was a great experience," he says, "despite the bullshi*t."
Update: I was able to connect with PreludesAndNocturnes on Reddit. He did his best to verify employment at Ubisoft without accidentally disclosing his identity. He also admitted that some of his post may have been a little hyperbolic, and wanted to make sure that people weren't getting the wrong idea. "I feel I may have been in the wrong to go off on a rant ..." he wrote in the original thread's comments. "I didn't mean to knock Ubisoft either as a brand or as a team of human beings (who obviously deserve my respect). I have no doubt that every single man and woman at Ubi did their absolute best on that project, and will continue to do so on future projects. No one was actively trying to cause harm. And obviously the industry and the medium is just really tough, but we do it because we love it."